Growing up in South Africa, I got involved in as much sport as possible. I played cricket, soccer, tennis, golf, rugby league, hockey, squash and even tried swimming occasionally. Through my ventures in sport I learnt many lessons about myself and life in general. I learnt the joy of victory and the agony of defeat. I learnt to fight until the final whistle. I learnt that calls don’t go your way, but you have to control the controllable. I learnt that there is great joy in overcoming times of failure. I learnt about sportsmanship too. I was afforded these opportunities because of the community I was in (I was at a public school, don’t worry) and in my life I believe the opportunity for life lessons has been robbed from many children. That’s where my support of the Sports Trust comes in. 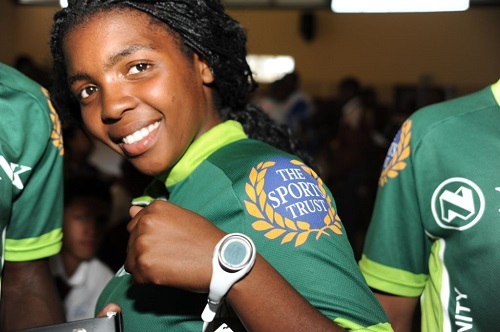 The Sports Trust was established in 1995 with the goal of providing opportunities for all South Africans to play sport, across all sporting codes and all levels. In the 19 years since its inception there have been 261 projects run at a combined cost of R62 million. The largest emphasis has been on establishing and upgrading sporting facilities around the country. Recent activity has seen a school sport court handed over to Zinikeleni Secondary School as well as various kits being handed out to schools. The Sports Trust, in short, are doing something that I believe will keep South Africans away from a life of thuggery and drugs and rather give them a life of growth and opportunity, the opportunity to learn life lessons through involvement in sport. This year I have been selected as a support team member for the Unogwaja Challenge where my role will be to write and share the incredible journey with the public from the inside out. As part of our team commitment to the Unogwaja Challenge, we have each committed to raise a sum of money towards a charity of our choice. Our combined team goal is a total of R1 million. Once there you can select how much you would like to donate. On the following page there will be an opportunity to select myself, or any of the other Unogwaja team members. Sport has been life changing and life defining for me, please help me give that opportunity to someone else.